On some occasions you may need to adjust the amount of CIS suffered that you are reporting to HMRC after submitting your final EPS for the year. This guide shows how to make the necessary corrections and resubmit the final EPS. Make sure that you have the correct file open on the screen. 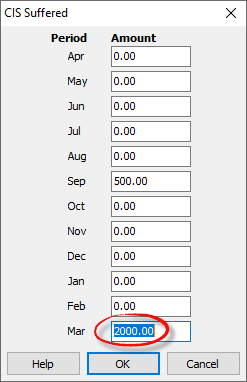 Click ‘File’ then ‘Open’ from the main menu if you need to select a different year. Click ‘Employer’ and then ‘CIS Suffered’ from the main menu. Adjust the figure in March (or earlier if the scheme was ceased before the end of the year) so that the total of all the rows on the screen equals the total amount of CIS suffered for the year. Click ‘OK’. Example: In the example below, £500 had previously been reported to HMRC as the amount of CIS suffered in September. It then becomes evident that a total of £2500 was suffered during the entire tax year. In this case an amout of £2000 should be entered into the row for March, so that the cumulative total for the year is recorded as £2500. 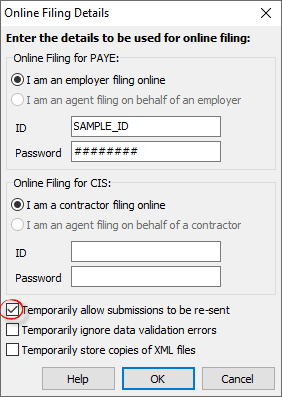 Click ‘Tools’ then ‘Online Filing’ and then ‘IDs & Passwords’ from the main menu, and tick the box marked ‘Temporarily allow submissions to be re-sent’. Click ‘OK’. Details of the EPS are shown on the report. You should check that the Year-to-date CIS suffered figures are correct before clicking on the bar along the top marked ‘click here to re-submit’. 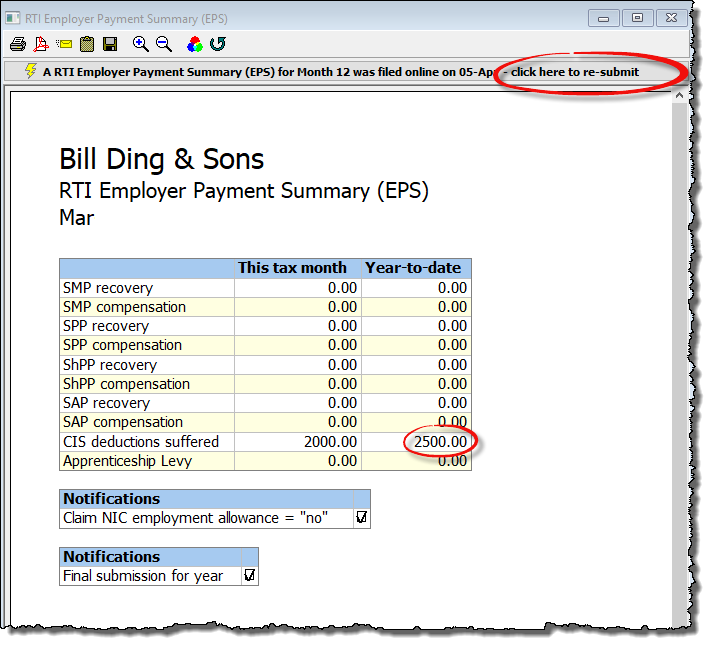 Payroll Manager will submit the EPS in the usual way. You should then check for the HMRC response to verify that the submission was successful.